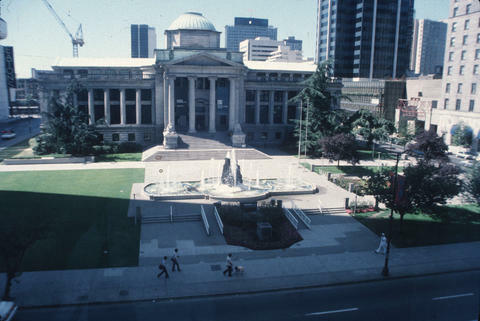 Address: Vancouver - Georgia Street West, 800. Comment in slide list for this image is "Square is a very formal space more euremonial [ceremonial] than useful. Courthouse steps provide only seating; use of grass area limited to good weather"